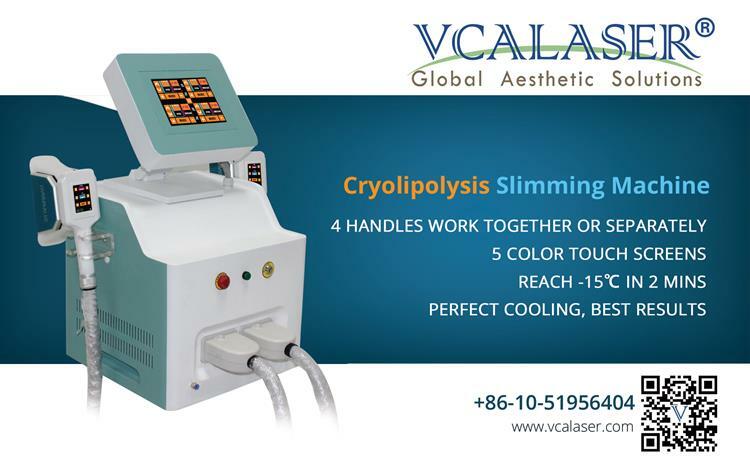 Cryolipolysis Fat Freeze Slimming Machine uses the technology of Coolsculpting. Coolsculpting is a new, non-invasive way to gently and effectively reduce fat in the target area of the body, thereby significantly reducing fat loss in the treated area. Since triglycerides in fat will be converted to solids at specific low temperatures, it uses cooling techniques to selectively target fat bulges and eliminate fat cells through gradual processes without damaging surrounding tissue and reducing unnecessary fat. Cryolipolysis Fat Freeze Slimming Machine uses the technology of Coolsculpting. Coolsculpting is a new, non-invasive way to gently and effectively reduce fat in the target area of the body, thereby significantly reducing fat loss in the treated area. Since triglycerides in fat will be converted to solids at specific low temperatures, it uses cooling techniques to selectively target fat bulges and eliminate fat cells through gradual processes without damaging surrounding tissue and reducing unnecessary fat. The contact surface of the handle cools to regulate the temperature of the skin, protects the fine dermis structure, and achieves the body remodeling effect of the fat while tightening the skin. This Cryolipolysis Fat Freeze Slimming Machine can be used to lose weight and dissolve fat, to replenish moisture and firm skin, and to resist aging. It also improves blood circulation and metabolism，enhances fiber cell elastic tissue. In addition, Cryolipolysis Fat Freeze Slimming Machine smoothes scars and wrinkles, such as stretch marks. The FDA-approved cryolysis fat-free weight-loss technology is safer than traditional liposuction, requires no surgery, no anesthesia, no blood, and no downtime. The weight loss effect is significantly permanent, and a single treatment can reduce the fat layer by 20% to 40%. It is the most popular way to lose weight on the market! The all-in-one machine is equipped with 8 imported TEC cooling plates from Japan. The four heads can work at the same time or separately. The efficiency is high, and the automatic deflation function of the machine head ensures that there is no pain after the treatment. Dual temperature control to avoid the risk of frostbite. Each head has 10 LED lights for disinfection and sterilization, speeding up blood circulation and reducing bruises and edema.